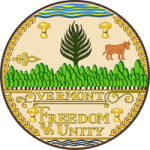 The State of Vermont Office of Child Support has a program that you can download to estimate what your child support payments might be. In addition, they have a worksheet you can download to figure out your payments. These provide estimates only. The actual court order may be different. Step 1: Download the form. Step 2: Enter the monthly gross income for each parent subtracting out an spousal support to get the monthly adjusted gross income. Step 3: Enter Monthly After tax income subtracting preexisting child support, minus health insurance to obtain monthly unadjusted available income. Subtract dependent care adjustment to obtain monthly available income. Step 4: Add both parent’s monthly available income to obtain combined available income. Step 5: Obtain the proportional share of income by dividing each parent’s monthly available income by the combined available income. Step 6: Enter the child support guideline amount from the guidelines chart and multiply by 1.5. Step 7: Add together any qualified child care, education or medical expenses and then add it to the calculation you obtained in Step 6 to get the combined family expenditures. Step 8: Multiply the combined family expenditures by the proportional share of income for each parent that you obtained in Step 5 to get the parental support obligation for each parent. Step 9: If you share custody, proceed to the shared custody calculations.